I recently got back to all my exersises and weight lifting and some more stuff, and well, it's always hard to get back on a row! 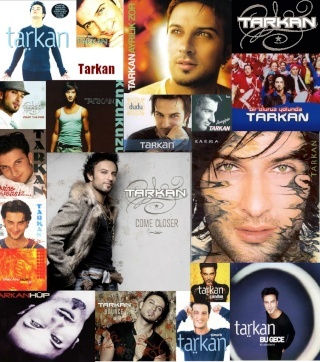 I was thinking....did Tarkan ever had one of those surgeries ( you think? )...he lost so much weight so FAST!!!!!!! and I'm wandering if he had some treatment for that, or may be pills...or did he really spend "36/7" in gym working out only? Man, I hate the gym. I am trying hard to be good about it, but I just dont enjoy it. I don't that he had a surgery. He was never big enough to qualify, especially by the rules in the US. I think that it was a combination of things. Part of it was loosing his baby fat. In the early pictures he is so young and still has that baby fat on him. Part of it had to be working out, as he re-shaped his body and no amount of surgery will do that. I am betting that part of it was stress and it is always highly possible that part was partying. Nothing like partying, dancing, going to school, working and dating to change your eating habits for the worse. I actually think that he is really natural in that he gets bigger when at home, working on his albums. It is easy to picture him eating a lot of bad food after long days or nights in the studio and not really working out. Then he loses it on tour, which makes sense based on how active he is on stage and how rigorous touring is. So to me, I feel like he is more normal than a lot of stars who are weirdly thin no matter what is happening in their lives. He seems to gain or lose depending on how busy he is, where he is and whether he is dating.